How much time are you planning on taking off this summer? For business professionals, summer is a traditional time for using their hard-earned time off to take a vacation – or at least a staycation. But many workers who take time off in the summer are still putting in virtual office hours, a Captivate Office Pulse survey found. 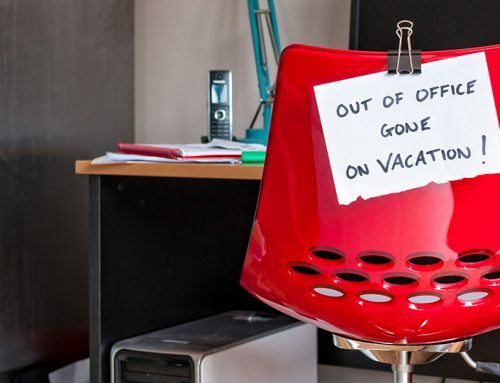 In the Office Pulse online survey of 1,397 US office workers who are taking time off this summer, just 37% said they wouldn’t be doing any work on their vacation days. 29% planned to work around 30 minutes a day, while 17% would put in 1-2 hours and another 17% would put in 3 or more hours. With the average worker taking 5 summer vacation days but working about an hour each day, US employers are gaining $4.1 billion in productivity over the summer from their employees putting in extra hours. This inability to disconnect is not entirely the fault of individual workers, according to the Wall Street Journal. Researcher Jennifer Deal says the presence of smartphones triggers the “Zeigarnik Effect – the difficulty people have to completely forget about something when it is left incomplete.” – similar to when a song snippet is stuck in your head and you just can’t get rid of it. The Office Pulse survey also showed some business workers don’t necessarily want to get away from the office – at least not from their colleagues. Nearly 1 in 4 US respondents (24%) said they’d be traveling with or spending time with coworkers on vacation. 45% of US business professionals plan to take 6-10 days off this summer, with more women (49%) than men (40%) taking that time. 26% will take 3-5 days and 17% will take more than 10 days. 8% don’t have any time off planned. 44% of Americans said they plan to spend more on their vacation this year compared to last. Nearly half (47%) have budgeted more than $1,500, and 1 in 5 will travel more than 1,000 miles. Among business owners, 55% will spend $3,001-$5,000. Upper-level executives were much more likely to have plans to travel abroad – 35% of senior managers and executives will visit Europe, Asia or Australia, compared to just 9% of junior or senior managers. 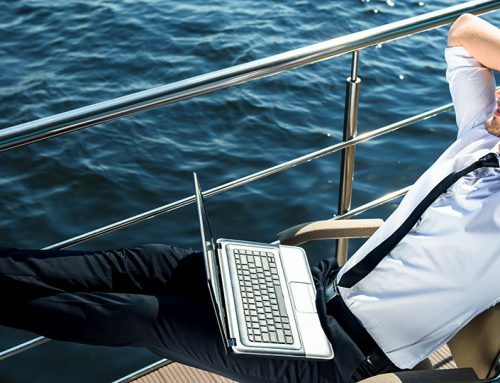 Not surprising in today’s always-connected world, 57% of US workers said they plan to monitor emails on their summer vacation, while 40% will check voicemails and 29% will take phone calls. Top-level managers especially have trouble disconnecting. 3 in 4 senior managers and executives will monitor emails, compared to half of junior and middle managers. For more results, watch your office’s Captivate screen or follow Office Pulse on Twitter @Office_Pulse. The research used to develop this study was based on the responses to an online blind panel in June 2016 by 1,511 business professionals in the US and 201 in Canada. Productivity was calculated based on the results of the survey and data provided by Statista on the total number of full-time employees in the US (123,550,000) and Canada (17,946,600) and average hourly earnings ($10.69 for US, CAN$23.57 for Canada). Office Pulse by Captivate offers marketers timely analysis and insights from a proprietary panel of upscale professionals in the top markets. The Office Pulse panel of more than 8,000 influential consumers and business decision makers includes C-level executives, Millennials, middle management, small business owners, working women and working moms. Known for its vast network of 10,000 elevator and lobby displays located in 1,400 premier office buildings across the U.S. and Canada, Captivate brings life to work by connecting over 11 million unique monthly viewers to the world outside their office. By engaging its viewers with timely news and actionable information, Captivate provides advertisers with a highly desirable and difficult-to-reach audience of affluent and influential business professionals through creative, research-driven and Nielsen-measured advertising and marketing programs. Founded in 1997, Captivate is owned by Generation Partners and TEGNA.